If you are born-again and filled with the Holy Spirit, the most important knowledge you need to have is the knowledge of your new identity in Christ. You have a spiritual relationship with God, and you are a part of the new order that Jesus has established in the worship and service to God. You are an earthen vessel filled with the power of heaven to function as an ambassador for Christ, a coworker with God to people in this world. Therefore, it is important to discover by illumination your divine status in Christ. 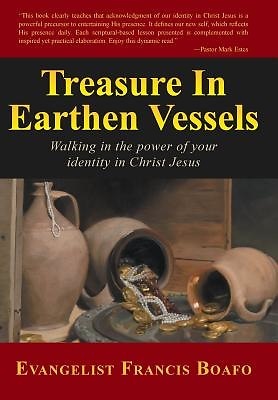 "This book clearly teaches that acknowledgment of our identity in Christ Jesus is a powerful precursor to entertaining His presence. It defines our new self, which reflects His presence daily. Each scriptural-based lesson presented is complemented with inspired yet practical elaboration. Enjoy this dynamic read."